There are approximately 100,000 young people living on the streets according to recent research, and there may be many more that fall under the radar because they reach eighteen and they ‘sofa surf’. A recent documentary for Children in Need, ‘The Young and Homeless,’ highlighted the growing problem for children across the country as young as fourteen. Home is a place that provides security, privacy, links to a community and support network. Without these, young people can become subject to abuse, crime, poor health, drugs misuse, isolation and mental illness. These make the chances of a successful education or employment all the more unlikely. Young people have different issues and needs to adults, so there are many reasons why they can become homeless. It's often because it's not safe for them to stay at home, or family life has become too hard. 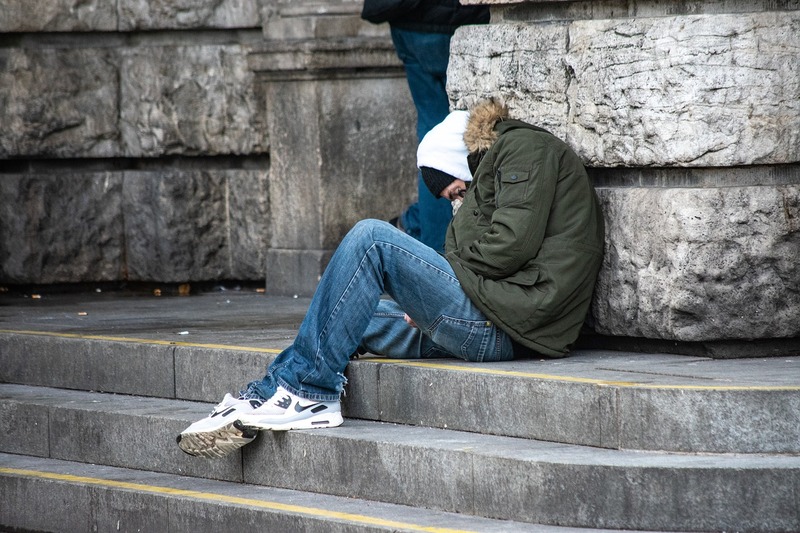 Homelessness and rough sleeping is often viewed as a problem which only exists in large cities but there are many homeless people in Devon, not just in the larger urban areas such as Exeter, but also in the more rural and remote parts of the county. Centrepoint, the UK’s leading homelessness charity estimated in 2017-2018 that 103,000 young people asked for help from their local council because they were homeless or at risk of homelessness. This is the only estimate of its kind and shows that in both rural and urban local authorities the scale of youth homelessness can represent an alarmingly high percentage of the youth population as a whole. According to Shelter, the number of young people presenting as homeless in the South West was estimated at 11,260 in 2017. Research showed the number of homeless people in the region increased that year by 11% and the charity estimates 1 in 367 people are homeless in Exeter alone. Local authorities have a duty to house certain groups of homeless people under the homelessness legislation including young people aged 16 to 17, and care leavers aged 18 to 20 who are some of the most vulnerable groups in society. What are the challenges for young people? Young people in England today face many challenges which can impact their transition to independence and adulthood, such as a high risk of poverty, reductions in benefits, and discrimination in getting housing and employment. The top three support needs of young people reported by homelessness accommodation providers include; not being in education, employment or training, a lack of independent living skills and mental health problems. Employment plays a key role in young people’s housing options, with unemployment rates for 16-24 year olds remaining higher than those for other working aged people. Young people are also more likely to be in low paid insecure jobs with less opportunity for career development. In the South West it is considered that there are high levels of deprivation accompanied by seasonal work and zero hours contracts. A disrupted education is a common issue for homeless young people that drastically affects their chances of achieving qualifications and without education or training, it’s even harder to find sustainable employment. A lack of independent living skills means young people have no experience of managing a tenancy, dealing with finances, or paying bills. Young people face significant barriers when it comes to owning a home and are more likely to have to rely on the private rented sector which in the South West is driven to an above average level by the influx of retirees and tourism. The number of young people presenting with multiple and complex needs has also increased because of limited capacity and resources in the homelessness sector, a lack of specialist mental health services and inadequate early intervention initiatives. The physical toll of sleeping outside is one issue, but sleeping on a bus or ever-changing network of sofas and floors can be just as mentally challenging. Young people's mental health issues like depression, anxiety or anorexia are easily made worse and this makes engagement with health, social and welfare agencies all the more difficult. This is a charity set up to support homeless people and also runs projects that help understand the root cause of what forces people into homelessness. They run a service specifically for 16-25 year olds, Nightstop Devon, which provides same day emergency overnight accommodation in the homes of volunteer hosts. Not only does this prevent young people from having to sleep on the streets but acts to find solutions to their housing situation. Shelter helps millions of people across the UK who struggle with bad housing or homelessness, through advice, support and legal services. They have a national helpline which is open 365 days a year - 0808 800 4444. Trailblazer is a homeless prevention partnership, working together to share effective strategies and support activity that prevents homelessness across the districts of Exeter, East Devon, Mid Devon and Teignbridge. Their aim is to better understand the widest possible range of approaches to preventing homelessness and to share this information with the services and people that support those at risk, working together to end homelessness. This organization helps homeless people in North Devon. They run ‘Safe Sleep Barnstaple’, a winter project providing a free and safe place for homeless people to sleep, this project enables individuals to establish and maintain strong and effective relationships with welfare professionals from a range of government and voluntary organisations. Depaul help people who are young and homeless across the UK, providing emergency accommodation, supported housing and other services to help people rebuild their lives. Offering a safe place to stay in a crisis, helping them to take the step from homelessness into stable housing, and providing specialist long-term support to help get lives back on track. Young Devon is an organisation working with young people to help empower them with the skills needed to lead an independent life. They try to help young people develop resilience, which is much harder to do without the sense of security and support of home. They work to improve the range, quality and amount of accommodation they can offer to young people. Their accommodation services promote choice and allow them to spend a longer period of time so they can support young people into independent living. Every year YMCA Exeter provides supported accommodation for over 100 young people, with three types of housing across the city where young people can become part of a family. Each type offers a varying degree of one to one and peer support and give young people, between the ages of 18-29, the opportunity to make a fresh start. They can also accommodate 16-17 year olds via a referral through social services. Their accommodation is specifically for young people who are coming out of homelessness and would like the support of a loving community to move forward. Every year YMCA Dulverton Group provides approximately 500 young people, individuals and families with a place to live and helps many more find accommodation that is suitable to them across Somerset and Devon. Depending on the support needs of the individual we have shared rooms and flats, studio flats, cluster rooms and houses for families or small groups. Each house is a truly unique place to live and offers people in need of accommodation from aged 16 years the opportunity to make a fresh start and move on into their futures. Arc house, support and empower homeless individuals in Somerset. They strive to put an end to rough sleeping, homelessness and inspire the lives of those they support. They are a local homeless charitable organisation, supporting over 450 people per year. #Focus5 are able to offer 1:1 support with getting back into education, training or employment and are keen to help any young people aged 15-18 who find themselves in the position of being homeless or working with any of the above organisations.